"Healthy Oceans, Healthy People & Planet"
Can oceans help us find the cure to childhood cancers? Based in New York City, The Global Peacemaker's Summer Summit gathers youth from different continents to build awareness of the crucial role children and youth play in implementing the Sustainable Development Goals. We will analyze what is being said on the one hand and what is being done on the other. Financing for development is a hot topic now but will corporations really put the money where their mouths are when it comes to the implementation of the SDGs where they are most needed? The implementation process can be done effectively and with reduced costs if we all band together. We will be taking a look at the topic of Climate Change and answering the call made during the Sendai Framework for Disaster Risk Reduction in promoting the role of children and youth as efficient actors in climate change mitigation, disaster risk reduction and re-forestation. We will speak with experts regarding different options of low carbon energy resources and how diplomacy within the COP21 is affecting policy change in the way governments and industry are transitioning into a 2º C mindset. We will also learn how the gas & oil industry cannot be totally excluded yet from the environmental agenda as a crucial energy provider and how these industries will be affected. In addition, students will learn how education and diplomacy are promoted through sports as a means to advance environmental stability, sustainable development, human rights, peace and equality for all through civil society participation by youth within the local, national and international level. Youth chosen to participate in this global summit will spend two weeks actively brainstorming and learning about solutions to some of the globes most stressing problems affecting youth, democracy, health, environment and economy. Students will attend conferences, participate in public debate and will travel between New York City and Washington DC visiting the United Nations, the Capital and distinguished world leaders. GPEE is a bold leadership program dedicated to exploring the democratic processes as it relates to current issues of global importance, but particularly about energy and changes in the environment and their affects on children. This program is designed for youth between the ages of 18-25 years of age and it's aim is to awaken the energy expert and statesman in every young person through a concise, well organised study of the environment and the international principles and rules which sustain the United Nations. 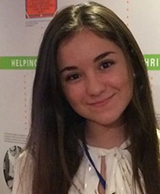 Since being granted Special Consultative Status within the Economic and Social Council of the United Nations in 2013, Kinderenergy hopes to highlight its commitment to proving that youth are Earth's most intelligent positive energy source and the greatest stewards of social and environmental justice. The application period is now open. Please download the material and send everything to headquarters@kinderenergy.org before February 8, 2019.